Brigham Young University is committed to providing powerful and reliable information technology resources and support to its employees. The BYU Office of Information Technology seeks to ensure that students and employees are provided with advanced and up-to-date hardware and software in order to improve campus communications, enhance faculty teaching capabilities, and optimize student learning experiences. Several technologies at the university facilitate these goals. Open a web browser to the BYU homepage: http://www.byu.edu. Click on the myBYU tab. To the right of the login fields is a link marked Create a Net ID. Click the link. Enter your personal information as requested. Note: Unless you are from out of the country, a social security number is required for employees. Choose a Net ID. You may select an option from on of the IDs provided, or create your own. Create a password and a verification question and answer, enter an email address, and click Submit. The first time you log in to myBYU, you will be directed to your Personal Information Page. Please fill in your personal information as requested. It is vital that this information remain up-to-date. BYU employees who have laptops and wireless Ethernet devices can access university Internet resources from common areas across campus without the aid of an Ethernet cable. A list of buildings that support wireless network access is available at http://it.byu.edu. To connect to the network from within one of these buildings, it is necessary to choose BYUSecure from the list of networks available on your computer. Wireless users are required to enter their Net ID and password to authenticate their computers before connecting to the wireless network. Although network cards come with built-in encryption capability, most card vendors implement encryption capabilities differently. To eliminate possible compatibility problems, encryption is not enabled on the BYU wireless network. Because it is consequently not secure, users should not transfer confidential information over the wireless network. The BYU homepage (http://www.byu.edu) provides links to university college web pages, the campus directory and myBYU. myBYU is BYU's web application portal and control center for students and faculty members. To access myBYU, simply open the BYU web site and log in using your Net ID and password. The VPN client allows a user to create a secure connection between a computer on campus and a computer off campus. For more information, visit the Virtual Private Networking (VPN) Client service description. A variety of media equipment is available for rent to BYU employees, students, and BYU wards and stakes. Audio equipment, video equipment, and other media items can be delivered (for on-campus use) or picked up in person from 249 McDonald Building. For a detailed list of equipment available for rent as well as information of pricing, see the Multimedia Equipment service description. Technology Enhanced Classrooms (TEC Rooms) are designed to provide optimized learning environments for students across campus. Primarily for use by instructors, these rooms allow users to show PowerPoint presentations; videos, DVDs, and TV; play CDs; and attach laptops and other audio/visual equipment. Rooms with MultiMedia Cabinets function like mini TEC Rooms. Using the MultiMedia Cabinet, instructors and other authorized users may show PowerPoint presentations; videos, DVDs and TV; play CDs; and attach laptops and other audio/visual equipment. For more information, see the TEC Room or Multimedia Cabinets service description. The university maintains a large collection of videos and films that can be rented for classroom viewing or personal use, or that can be scheduled for broadcast over campus cable. For more information contact the Harold B. Lee Library at 801-422-2927. AIM is a web-based application that allows students and faculty to access and manage various types of course-related information. faculty may personalize final exam schedules; submit grades electronically; retrieve, manage, and customize class roles; and check their teaching schedules. Students may view course catalogs, their ABC progress reports, and their class schedules; check their academic standing; register for classes; and apply for scholarships and grants, AIM is accessible by logging in to myBYU. The purpose of this product is to allow instructors and students to access online course materials and to improve instructor-student and student-student communication. Instructors can use BYU Learning Suite to provide access to course materials; as a means for submitting assignments, taking tests, and taking quizzes; for access to an online gradebook; and for access to virtual discussion groups. For more information, visit the BYU Learning Suite service description. The Office of Information Technology seeks to ensure that members of the BYU community are provided with training and support to effectively use technology products and services. One way the department meets these needs is through in-class training. Participate in our technology courses for a guided and interactive classroom experience. Our classroom environment provides a unique opportunity for one-on-one assistance, customized lessons, and an experienced instructor to help troubleshoot specific problems. Custom training courses on many topics are also available. To find out more, visit http://it.byu.edu/training. The Office of Information Technology offers more than in-class instruction; we also provide licensed material for delivery over the web. Visit http://it.byu.edu/training for more information. Employees may be entitled to use the university's Email service. This email service, purchased through your department, facilitates the sending and receiving of messages within the BYU employee network, the scheduling of meetings and resources, and the tracking of contacts, tasks, and calendar items. Email is usually accessed via Microsoft Outlook on a desktop comptuer, and can also be accessed online at http://mail.byu.edu. Email Alias Manager allows you to create an email address (alias) that will forward your email to another email address or mailbox. With this free email-forwarding service, you will never again have to notify your friends and associates of a change in email address. Instead, you may establish a stable email alias that forwards to any email service provider (Yahoo, Gmail, Hotmail, etc.) you choose. This permanent forwarding service is available to BYU students, alumni, and retirees, and stays with you for life, even if you change your email account provider. Veracity Communications offers low-cost long-distance calling at discount prices for both personal and deparment use. For more information, see the Long Distance service description. Call 422-INFO (4636) for university phone numbers, event information, as well as other general information about the university. BYU Info can also assist you in locating any listed home phone numbers for university students, faculty and employees. An operator will help you with your question or transfer to the appropriate party for further assistance. The BYU Office of Information Technology provides faculty and students with a service desk they can call with any technology-related questions. 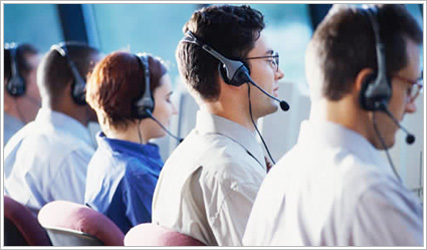 The desk is staffed by experienced Office of IT employees who can help with troubleshooting various issues. Individuals can receive help from the service desk by calling 801-422-4000 or by emailing it@byu.edu. If you prefer to request technology assistance online, use IT Tracker in myBYU to report Office of IT products and service that are not working properly. For hours of operation or other questions, please visit the Contact Us page. Go to http://it.byu.edu in your internet browser. Click Login in the upper right corner. Enter your Net ID and password. Click My Technology Support under BYU Office of IT on the left side. Your computer support representative will be the first area listed on the top of the page.